I just learned that the Portland charcuterie greats changed their name because the International Olympic Committee had a fit about brand protection. I've been a fan of the outfit's salami for a couple of years and have lately been testing some of their emulsified sausages. 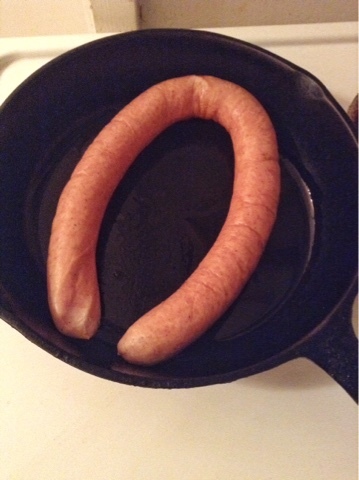 They handled this snappy, juicy kielbasa as deftly as they do their dry cured products.